When Imtiaz Ali announces the release date of his new film, there is a sense of anticipation that is sadly undercut by an unshakeable sense of déjà vu. Ali seems to have caught a bad case of “same old”, a chronic disorder that makes all his films clones of each other. If you watch Love Aaj Kal, Rockstar and Tamasha one after the other, you might forget where one film ends and the other begins. When the poster for Jab Harry Met Sejal was released, Anushka Sharma in headphones looked like Deepika Padukone in headphones and, there it was again. For what it’s worth, Jab Harry Met Sejal breaks that mould for Ali, albeit only to a degree. Shah Rukh Khan as the bratty Punjabi man who is a little rough around the edges is different from the over-polished male protagonists of Ali’s earlier films. Harry Nehra’s humour is gritty and that light beard on him adds to that image. 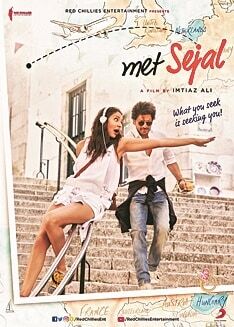 A tour guide in Europe, he meets Sejal Zhaveri on a tour that he is conducting for her boisterous Gujarati family. Sejal loses her engagement ring and decides to retrace her steps — across Europe no less — in search for it, with Harry by her side. Sejal’s rustic spoken skills and her clashing cosmopolitan personality seem to break the suave exterior that Harry wants to maintain. And that is where the precious nuggets of the film lie. He breaks into Punjabi idioms as soon as he is agitated, muttering comical phrases that usually end in “main amb khaanehain (do I want to eat mangoes that I care so much)?” As a romantic hero, Khan seems to flourish without being bogged down by the saccharine sweet Dharma Productions imprint. In fact, the scenes where he loses pace are the ones with the tears, where his face contorts into those trademark spasms in a pained bid to show emotion. He shines as long as he sticks to the sardonic, bitter and just slightly mysterious man. Anushka Sharma as Sejal matches Khan step for step. She is free, funny and sensual in a refreshing way. She “Facechats” with her sister in India because those calls are free and signs these chats off with “JSK”, the Gujarati abbreviation for “jaishri Krishna” in the age of WhatsApp. But, more importantly, they sizzle together on screen. The scenes between Sejal and Harry, even though clichéd, finally offer what a romantic comedy should have — a chance for the central relationship to blossom without stops and starts. A clever reference to Dilwale Dulhaniya Le Jaayengeis also used to punctuate Khan’s presence. The background score and the music don’t interfere with the flow of the film too much. But beyond a point, the song-and-dance across breathtaking European destinations becomes a little tedious. The Madonna-whore binary also becomes repetitive as a trope through the film, though Ali tries to stick with that theme right till the last scene. A promising first half eventually peters out, falling back into the same trap of a lonely existential man being “rescued” by a woman. The story finally picks up only in the last five minutes. 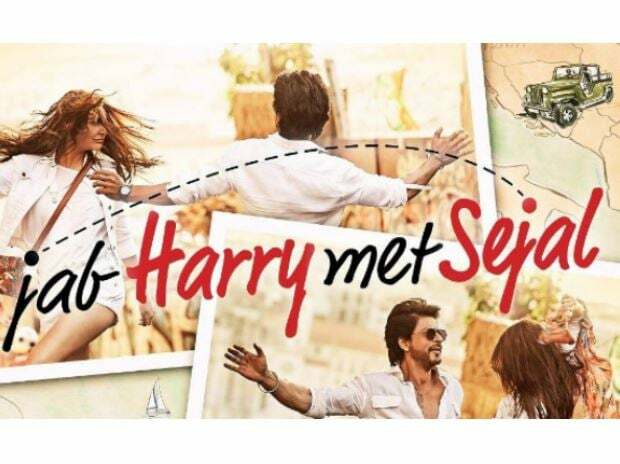 Jab Harry Met Sejal may be one of Ali’s better films, even though some may be disappointed by the lack of “experimental” perspectives when it comes to love and romance. It doesn’t have much in terms of a plot, but that would anyway be asking for too much. Watch it for some light humour and some old-school romance.